The test beds are specifically designed for proof and destructive loading of steel wire ropes, synthetic ropes, chains, shackles etc. according to DIN ISO 2307 and EN 12385. 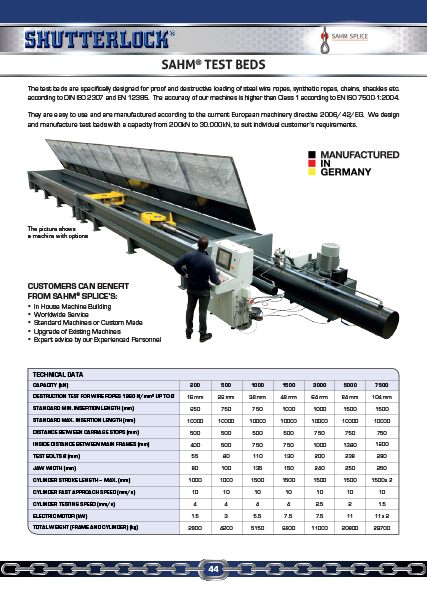 The accuracy of our machines is higher than Class 1 according to EN ISO 7500-1:2004. They are easy to use and are manufactured according to the current European machinery directive 2006/42/EG. 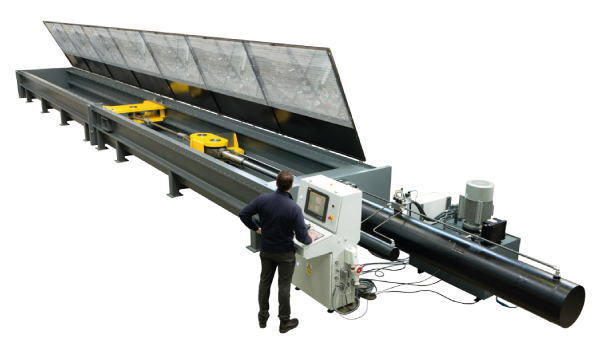 We design and manufacture test beds with a capacity from 200kN to 30.000kN, to suit individual customer’s requirements.